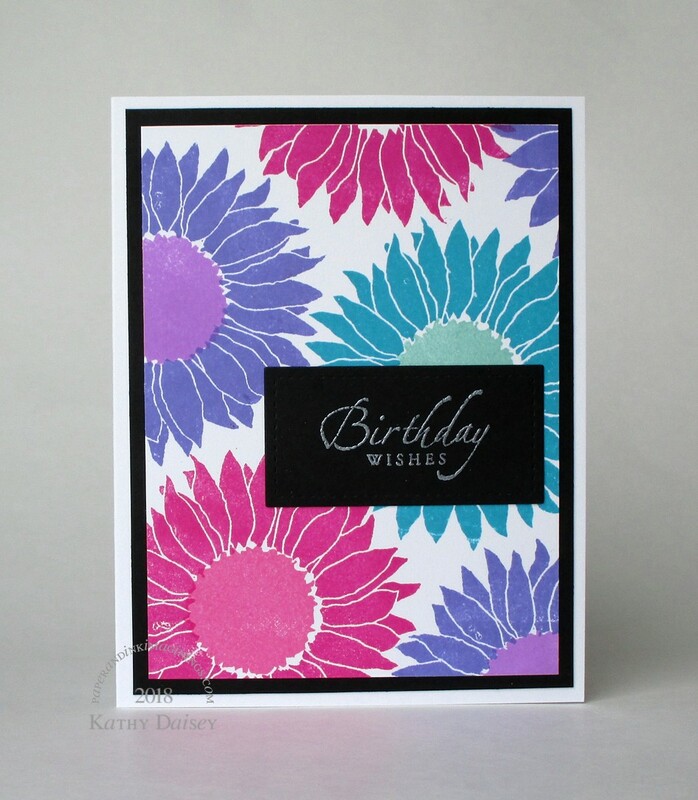 Not sunflower colors, mind you…more Gerbera daisy colors. Supplies: Stamps – My Favorite Things, Stampin’ Up!, paper – Neenah Classic Crest Solar White, Stampin’ Up! Basic Black, inks – Stampin’ Up! Lovely Lilac (retired), Orchid Opulence (retired), Pink Passion (retired), Pixie Pink (retired), Pool Party, Tempting Turquoise (retired), VersaFine Smoky Gray, die – Lawn Fawn, embossing powder – Ranger Silver Pearl. Categories: birthday, card | Tags: card, Lawn Fawn, My Favorite Things, Neenah, Ranger, Stampin' Up!, Tsukineko, VersaFine | Permalink. Oh, thank you so much, Jenny!